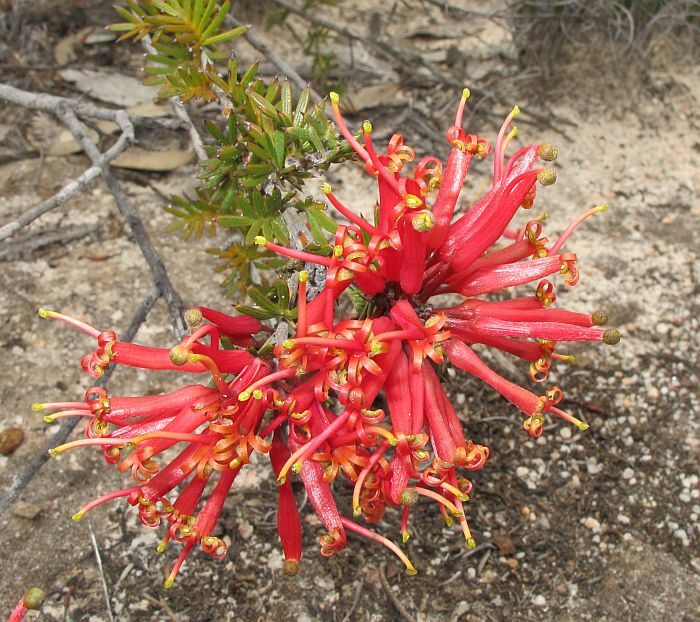 A most attractive shrub with scarlet flowers and finely divided bluish/green foliage and growing in height from semi-prostrate to around 2 metres (6'). 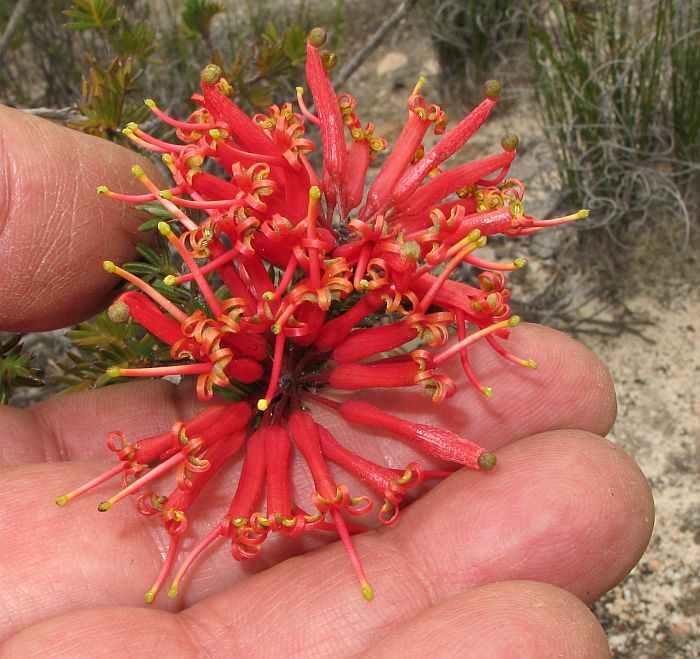 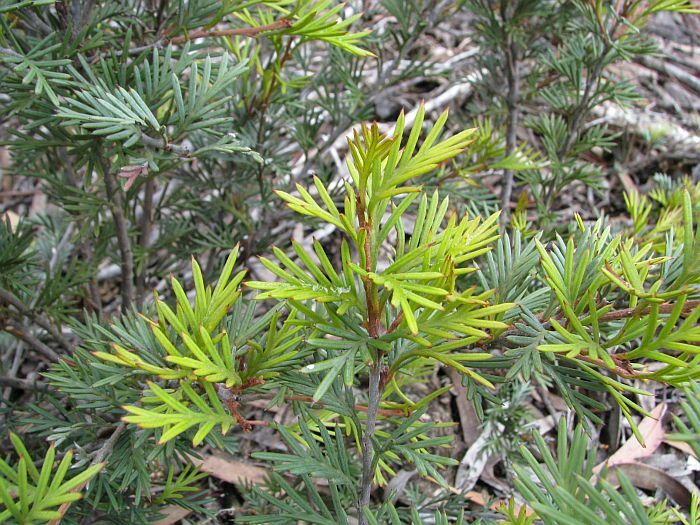 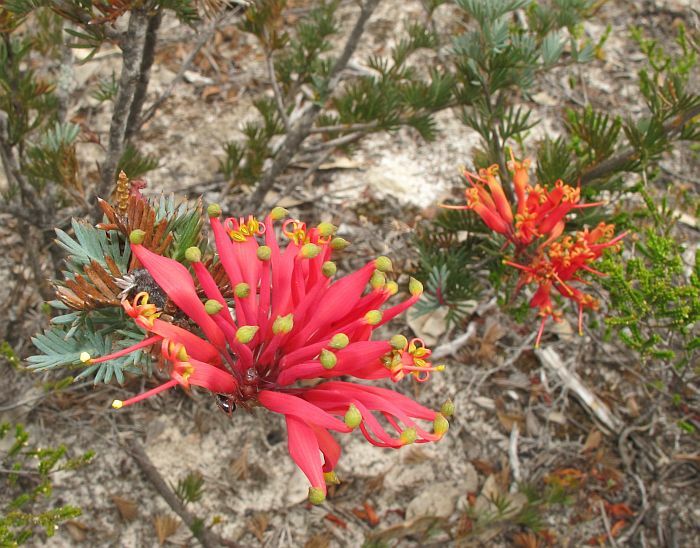 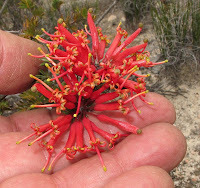 Like most of the more spectacular grevilleas in the Esperance district, they tend to favour the heavier soils that are more common to inland mallee regions. 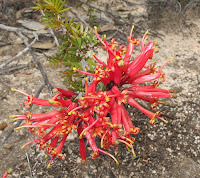 In this habitat (providing the soil has a reasonable clay content), they are commonly encountered in well-drained soils usually near or under taller mallee vegetation. 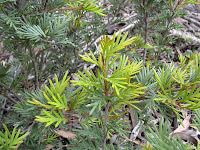 The foliage is pleasant to look at, but is stiff, leathery and the leaf lobes sharp to touch. 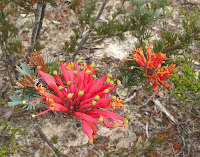 The bird attracting bright red flowers however, contrast well making the overall affect most appealing. 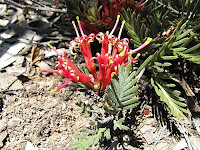 The flowers of Grevillea huegelii can be found at any time of the year particularly after rain, although spring is the main flowering period.